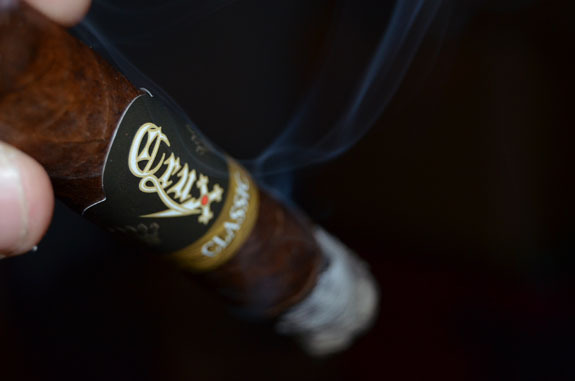 Crux Cigar Company took a very ambitious approach with scheduling the release of six blends in two months. However, ambition does not always translate into good product. But that has not been the case with the Nimfamaniac, Nimfamaniac Dark, and Skeeterz reviewed by Tony, and it is certainly not the case with the Passport….There is finally a new company on the scene that I am excited to get fully behind. Crux Cigars is a company you will need to watch out for in 2014. During my last visit to El Paso in early December, Tony gave me a few samples received from Crux Cigars of the Classic and Bull & Bear for review. Based on my past experience with Crux cigars, I was itching to light one up as soon as I had it in my hands. 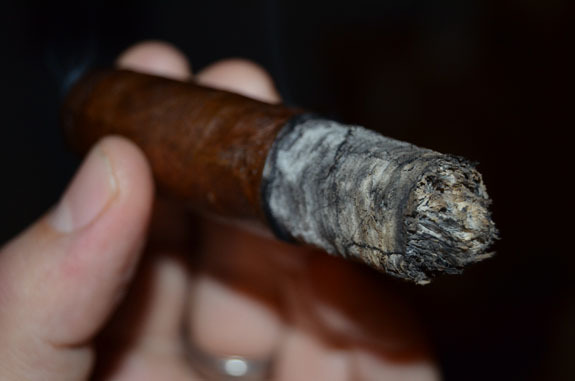 Today, I bring to you my last review for 2014 of the Crux Classic Toro Marblehead. I am hoping to have the review of the Bull & Bear posted the first week of January. Inspired by the classic Cuban 109, the Crux Marblehead™ is a tapered and rounded cap with eye-catching aesthetics. This sleek and elegant finish allows the cigar smoker to control the flow for a smaller or larger draw. Additionally, it gives larger ring gauge cigars a more desirable mouth feel. 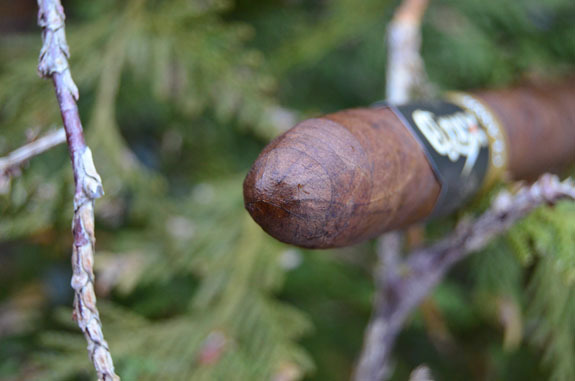 The 109 cap is not completely uncommon to non-Cuban cigars and can be found on cigars by Tatuaje and Illusione. Even so, it adds a great touch to this already gorgeous looking stick. The medium brown, Nicaraguan Habano wrapper from the Jalapa region is full of character with dark water spots, bumps, and an abundant amount of visible veins. The oils on the leaf gives the cigar a glossy look. 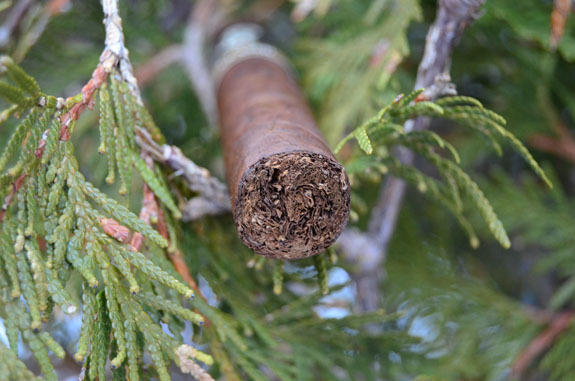 Notes of cedar and natural tobacco, along with faint pungency are found on the wrapper, while fuller notes of cedar, raisin, and dark chocolate are found on the foot of the cigar. A mild pepper sting is felt in my sinuses as I bring the unlit foot of the cigar to my nose. A shallow cut of the Marblehead, triple cap gives way to a draw that a bit more resistance than preferred. If the cigar does not open up once lit, I have plenty of room to cut deeper, if needed. A bouquet of flavors are highlighted on the dry draw consisting of notes of dark fruit, oak, cocoa, and pepper. The Crux Classic is opening with chewy flavors of oak, lemon zest, earth, and pepper. There is a somewhat vegetal finish to the smoke. With the cigar heating up, the oils become much more apparent below the eyeliner burn-line. The pepper is mild in the mouth, but really pops on the retrohale, accompanied with some dry cedar. Progressing further into the cigar, the spice begins to play a more significant role in the profile, which is now warming my palate. 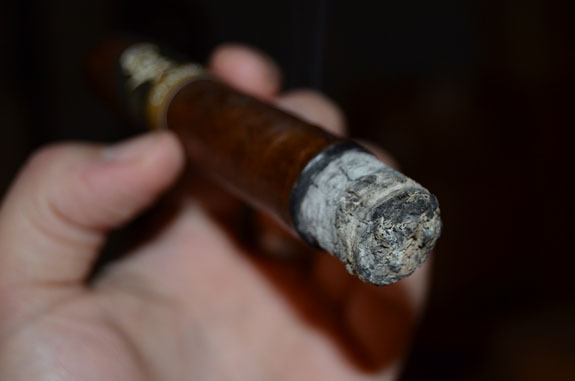 As the cigar burns evenly, a layered, gray ash is left behind holding firmly to an inch before dropping in the ashtray. Not getting the smoke production desired in the first third, I decide to clip another small section of the cap. And I am glad I did. The cigar has opened up and a copious amount of smoke is easily pulled into my mouth with each draw. The first third would be characterized by medium flavors and mild to medium spice. So far in the middle third, flavors are full and the spice is right in step. The smoke continues to feel thick and chewy in the mouth, and the profile has evolved to darker notes of coffee, cocoa, and oak. The cocoa is heavy on the finish of the smoke and lingers on the palate for some time. The woodsy notes, more of a cedar at this point, are front and center. Some toasted notes, with a mild marshmallow sweetness has joined the mix, and the finish remains in-line with second third. The performance of the Crux Classic has been exceptional as I approach an hour and 30 minutes of smoke time. I was very skeptical of the Crux Classic as I approached this review. Not because I had a poor experience with another line, but because all of my past experience with Crux Cigars has been almost too positive. It is hard enough to release one excellent cigar, it is even harder when it is your first year of business as a manufacturer, and it is almost impossible to release more than one exceptional cigar in your first year of business. Crux Cigars has done the impossible. The Crux Classic adds a new dimension to their already quality line-up. This is is an easy box purchase in my book. I am already dreaming of the day when my humidor will be full of Nimfamaniacs, Skeeterz, Passports, and Classics. Maybe that is what I will ask Santa for next year. Related Itemscigar reviewCrux Cigar CompanyCrux Cigar ReviewCrux CigarsCrux ClassicCrux Classic Cigar ReviewCrux NimfamaniacCrux Nimfamaniac DarkCrux SkeeterzMarblehead CapNicaraguaPlasencia S.A. I am smoking a Ninfa Natural tonight, love the slim size and for $5 even you cant beat that. My local B&M has the FULL Crux line at a very good price (no taxes here in Oregon helps) so I have been stocking up ever since…I really like their sizes they make! Great review btw.. Thanks for checking out the review, Charlie! Ninfa Natural is a great cigar. That is actually the first cigar I smoked from Crux and instantly fell in love with it. Perfect size and price. You are a looking man to be living so close to a retailer that carries their full line. Jeremy, you’re making me jealous that I would have to do a hundred mile round trip to my nearest retailer for these. I will have to glom onto these and the other Cruxes somehow.